BEXEN CARDIO – How can we face a cardiac arrest? Cardiorespiratory arrest continues to be the leading cause of death in the industrialized world. It is estimated that around 300,000 heart arrests occur each year in Europe, with a survival rate of less than 15%. When a cardiorespiratory arrest occurs, there are two key steps to maximize the probability of patient survival: cardiopulmonary resuscitation (CPR) and early defibrillation. CPR is a maneuver that consists in the alternation of chest compressions and ventilations so that a blood flow is maintained to provide vital organs with an adequate amount of oxygen. 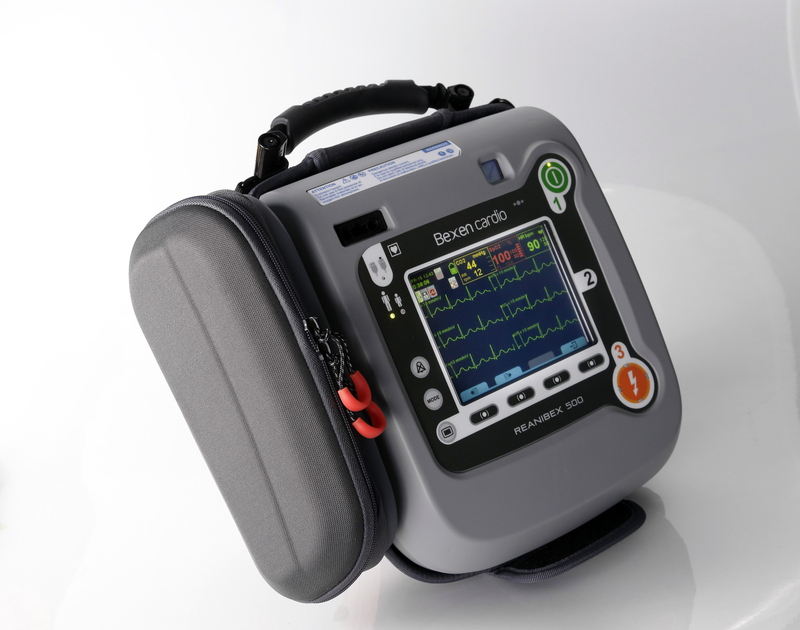 External defibrillation is a therapy that attempts to reverse a potentially lethal arrhythmia by administering an electric shock to the heart muscle through the chest wall. Resuscitation guidelines published by the European Resuscitation Council (ERC) and the American Heart Association (AHA) provide recommendations on how to perform resuscitation safely and effectively in different settings. The latest review published in 2015 emphasizes the importance of providing high-quality chest compressions with adequate frequency and depth and minimizing interruptions. In addition, it is also recommended to use the capnography signal during resuscitation to monitor proper ventilation, chest compression quality and to identify the return of the spontaneous circulation (ROSC). 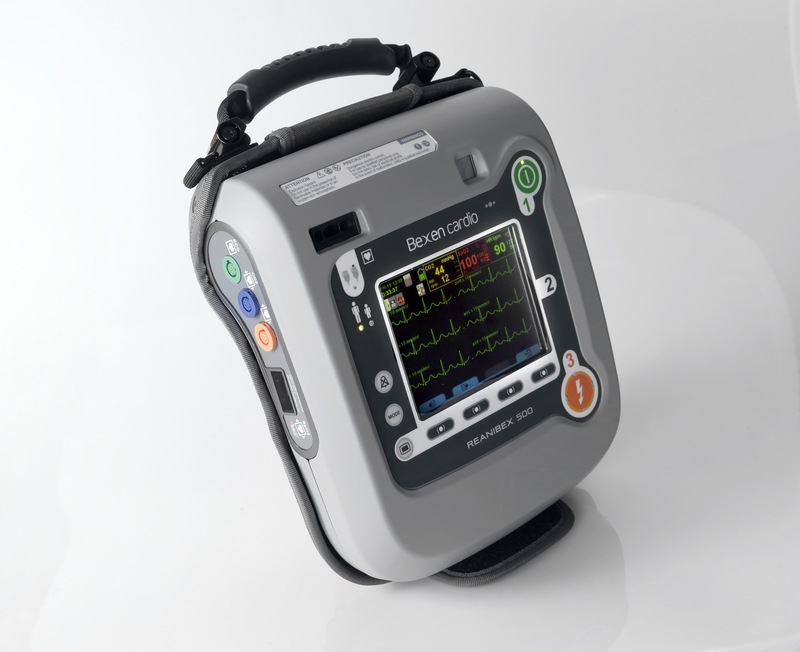 BEXEN CARDIO has recently launched a high-end monitor defibrillator for Emergency Medical Services. USB port for downloading stored data. 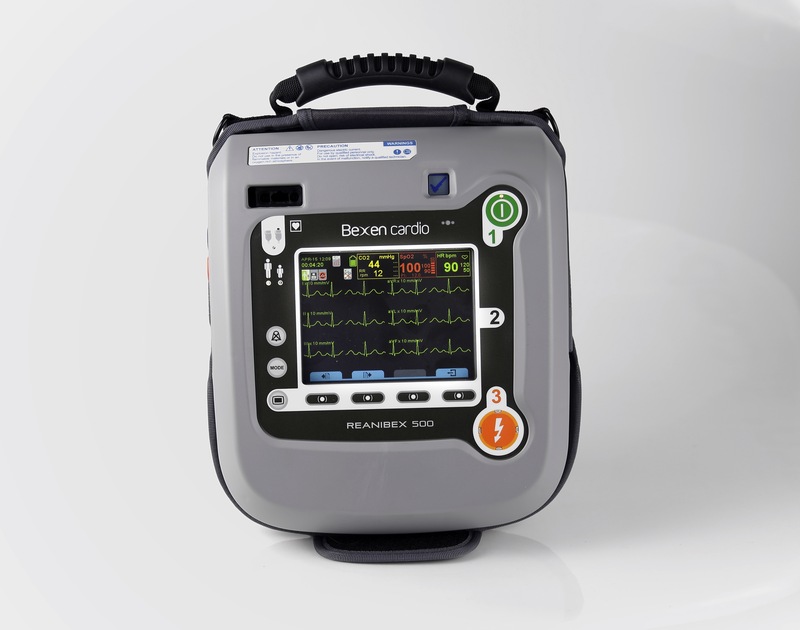 BEXEN CARDIO also offers a range of applications for PCs, tablets and mobile phones that allow you to view, manage, and store recorded data, as well as remote sending of information from REANIBEX 500 EMS to the coordination center. 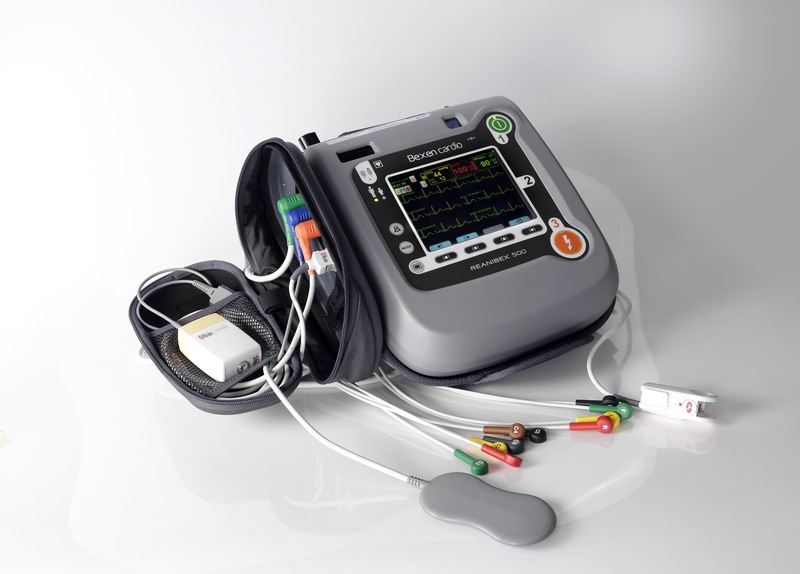 REANIBEX 500 EMS, thanks to its various monitoring options (12 leads, pulse oximetry, capnography) and its push pad module, perfectly meets the recommendations of the 2015 ERC and AHA guidelines, in order to provide the optimal therapy to the patient at any time. 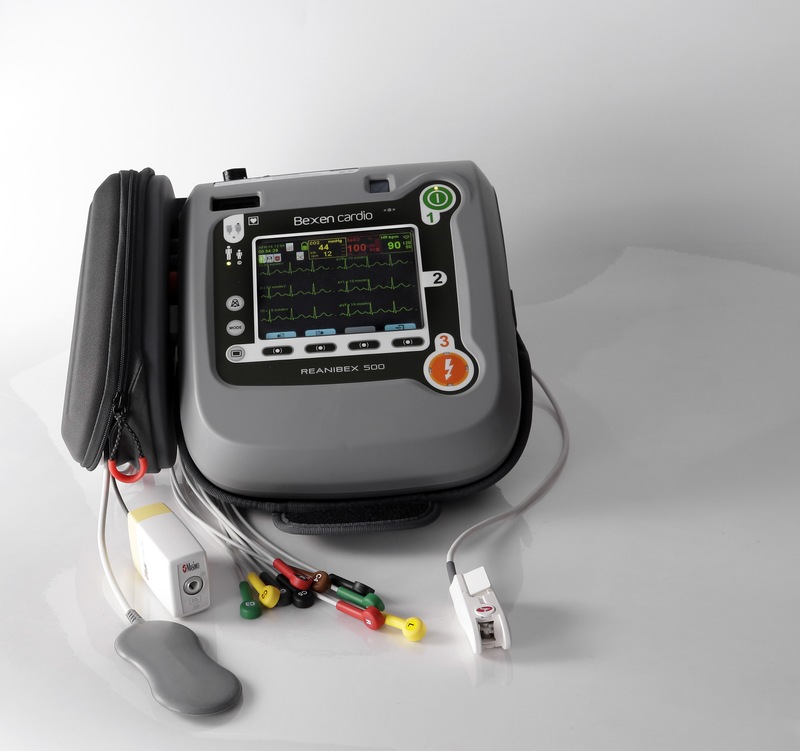 BEXEN CARDIO is an internationally recognized brand that exports 85% of its turnover and is present in the world’s leading international trade fairs, including Arab Health, FIME, REAS and MEDICA. Do you want to know more about Bexen Cardio products?